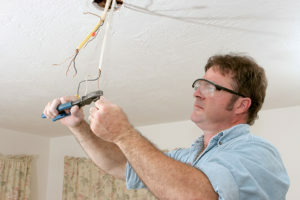 If you are searching for a licensed electrician to provide service for your home in the Southborough, Massachusetts, area, consider VMA Electric. We offer a combination of service and experience that many of our competitors can’t match, and we’ve been the trusted choice for comprehensive electrical installations and repairs in the area since 2008. We pride ourselves on the level of service we provide for our loyal customers, which is why our technicians participate in ongoing training to ensure that we are always utilizing the latest techniques. What’s more, our owner, Victor Archila, provides oversight on every job we do to make sure every customer receives the level of service they deserve. And, because electrical problems can develop at the most inconvenient times, we have a licensed electrician on call 24 hours a day, seven days a week to provide emergency repairs. Contact VMA Electric today to see for yourself why residents of the Southborough, MA, area look to us when they need a licensed electrician for their homes.